Like most states in the USA, employment in Alabama is “at-will”, which means that in most cases, an employer can change an employee’s employment terms and conditions at any time, without notice or reason. This simply means at-will employees can be fired or demoted at any time. However, employees do have some protection at the workplace, as there are numerous exceptions to the employment at-will doctrine in Alabama. This article will discuss these exceptions and offer advice on what to do if you feel you were wrongfully terminated in Alabama. What is the average wrongful discharge settlement/award in Alabama? If you fall into any of the above categories, make sure to check the terms of your employment if you feel adverse employment action was taken against you. Secondly, beside the above groups, there are exceptions to the at-will rule that cover all employees. These exceptions are defined by federal, state and local laws. They declare a termination wrongful, when an employee is fired for an unlawful or impermissible reason. The following list of exceptions to employment at-will protect existing employees, as well as job applicants. The Age Discrimination in Employment Act of 1967 (ADEA) protects employees and job applicants who are over 40 years old from being discriminated against at the workplace. Based on this act, an employer cannot discriminate against employees because of their age with regard to all employment, remunerations, terms or conditions. Constructive discharge occurs when the work environment becomes so intolerable in violation of a law, that an employee feels forced to resign. Such cases are hard to prove, as the victim has to show that as a result of illegal treatment and/or working conditions things got so hostile, that any reasonable person would quit. The Americans wit Disabilities Act of 1990 (ADA) protects employees and job seekers from wrongful discrimination due to a mental or physical disability. The law states that reasonable accommodation must be given to disables employees in an effort to help them carry out their work. The Family and Medical Leave Act (FMLA) should be mentioned here as well, which regulates the amount of unpaid leave an employee must be given in serious medical or family events. While most employees in Alabama are at-will, many will have an employment contract. If the employer breaches the contract, the law is broken and a claim may be filed. The employment contract may be written, oral or implied. Title VII of the Civil Rights Act of 1964 (Title VII) prohibits the discrimination of employees and job applicants based on their gender, as well as sexual harassment. The Pregnancy Discrimination Act of 1978 (PDA) make the unfair treatment of pregnant women at the workplace illegal in the USA. If a pregnant woman cannot perform her duties, the ADA applies. The FMLA also applies to pregnancy discrimination, since it grants a 12 week leave to new parents. Public policy is the set of laws and moral principles that are present in our society. Sometimes it is not in the interest of the employer to do everything according to normal public policy. Being retaliated against in violation of public policy happens when an employer makes adverse employment decisions based solely on the fact that an employee followed the law. Alabama is one of few states that does NOT recognize the public policy exception to at-will employment. Title VII of the Civil Rights Act of 1964 (Title VII) makes it illegal to discriminate against or harass employees or applicants based on the color of their skin, their race, their nationality or sincerely held religious beliefs. The law defines protected activities, for which an employee cannot be retaliated against. Retaliation against an employee may come in many forms: termination, demotion or transferring to a less desirable position, denial of promotion, denial of job benefits, suspension, threats or abuse (verbal or physical), negative, false evaluations or reports or treating family members negatively. Title VII of the Civil Rights act of 1964 (Title VII) protects employees from discrimination because of sexual orientation, gender expression or gender identity. A whistleblower is an employee who exposes an employer for doing something in violation of something illegal. Numerous laws protect whistleblowers from ill treatment at the workplace. Terminating an employee in retaliation for complaining about missed wages, overtime or hour violations is illegal. Alabama’s Worker’s Compensation Act forbids employers from firing workers because they filed a worker’s compensation claim due to an injury resulting from work. Proving a wrongful termination claim in AL is the job of the employee. Sufficient evidence needs to be gathered to prove that the employer broke the law by firing (or not hiring) you. Since there are many exceptions to the general “at-will” rule, an employee who was wrongfully terminated may be able to bring a claim under not just a single, but several federal, state or local laws. Being an at-will employment state, Alabama law does not allow an employer to sue for wrongful termination simply because there was no reason for the termination. However, there are laws that prohibit adverse action against employees through establishing groups with protected characteristics or protected conduct. What constitutes adverse employee action? The following laws protect employees from wrongful termination. The USA federal government has passed numerous acts to protect employees from injustices. Here is a complete list of federal laws that prohibit wrongful termination. Alabama has one state law that provides further protection, which is Alabama’s Worker’s Compensation Act. Based on this Act, it is illegal for an employer to fire, threaten to discharge or retaliate against an employee solely for seeking worker’s compensation. You can turn to the following organizations if you feel you’ve been the victim of an adverse action at your workplace. It is important you know that there are time limits to filing a wrongful termination claim. These time limits are set by the statute of limitations on wrongful termination cases in Alabama. 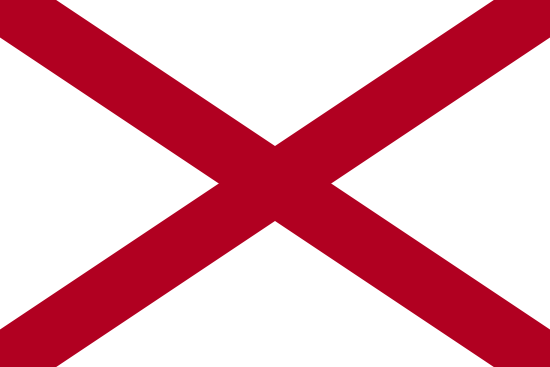 This section or our web page is focused on unlawful termination settlements in Alabama. It is usually unusual for good claims to go to trial, because they commonly reach settlement out of trial. But when they do not settle, there is a lawsuit, where the plaintiff or defendant will prevail. Most of these lawsuits incorporate mixed verdicts, meaning they involved one particular, or possibly several claims of unlawful termination as a consequence of constructive discharge, race, color, national origin, religion discrimination, whistleblower, pregnancy, age discrimination, breach of employment contract, gender discrimination, firing in violation of public policy, sexual orientation, gender expression or gender identity discrimination, disability or workplace retaliation. You might want to read up on the specifics of wrongful termination in Alabama to find out what kind of claims can be filed under which laws. The table below presents a summary of the different types of claims filed, and their numbers in the state of Alabama in 2017. EEOC v Rite Way Service, Inc.
Mekeva Tennort worked as a janitor for Rite Way Inc. In 2011, she participated in an internal investigation concerning a sexual harassment complaint made by a colleague. Soon afterward, the employer started giving Tennort written warnings about untrue performance issues. She as later terminated based on these unfounded accusations. The EEOC sued the company on behalf of Tennort, for wrongful termination due to retaliation. Rose Marie Harshberger v. Hanger Prosthetics & Orthotics, Inc.
Harshberger suffered a broken knee cap on the job. She returned to work in March, 2001, and her employer claimed it had eliminated Harshberger’s job in November 2000 to downsize and lay off employees for budgetary reasons. No one ever told Harshberger until she returned to work after her injury in March 2001. Ray Keith Wood suffered an injury on the job, pulling his forearm as a machinist in 2000. His arm was operated on, and he continued work in a brace. After experiencing pain in both arms, Wood informed his supervisors that he had to go see the doctor. He did not get permission to leave work, but he still left to see the doctor, and later filed for workers’ compensation. The details of the case are complicated. Wood was fired not long after, and he sued the company for retaliatory discharge. EEOC v Winfield Rubber Inc.
Mark Holmes, a plant manager for Winfield Rubber became aware of a sexual harassment and assault incident against a female co-worker. After an internal investigation, Holmes fired the harasser, however, the company reinstated him. The company then tried to convince Holmes to change his opinion on the harassment, but Holmes did not. For this, he was fired in retaliation. In 2004, Marcus Lynn Whitson suffered an on-the-job injury. In 2007, he initiated an action in the Shelby Circuit Court seeking benefits for his injury. 2 weeks later, Whitson’s employment was terminated, stating that there were no light-duty jobs available that he could fill. EEOC v Jack Marshall Foods, Inc.
On behalf of 19 female employees (3 of whom were teenagers at the time), the EEOC filed a lawsuit against a KFC operator, claiming that sexual harassment was taking place at the KFC restaurant in Monroeville. The suit alleged that male employees of the restaurants engaged in unwelcome sexual conduct and openly described sexual desires & interests with female employees. Michael Maurice Snisky, III v. Waldrip Wrecker Service, Inc. The plaintiff alleged he was terminated unlawfully after making a workers’ compensation claim. Under Alabama’s Workers’ Compensation Act, he sued the employer for past and future compensation, medical expenses and other incidental expenses. EEOC v America’s Thrift Stores of Alabama, Inc.
An employee, Jenny Grimes, had degenerative joint disease. She informed her employer of her disability and her need for an accommodation. Her request was denied, and a week later, she was fired, despite having maintained a good work record during her three years at the company. The conduct alleged violates the Americans with Disabilities Act (ADA), and the EEOC filed a lawsuit against the company. EEOC v Save-A-Lot Grocery operated by Potter and Sims Foods, Inc.
Sharon Bennett was employed by Save-A-Lot as a cashier. The store manager subjected her to harassing behavior, including inappropriate comments, showed her sexually explicit photos and offers for sexual favors in exchange for workplace benefits. The manager sexually assaulted Bennett in the end. She informed the store owner of what happened, but the employer took no corrective action. The EEOC sued the employer on behalf of Bennett for sexual harassment. Greg Goldsmith v. Bagby Elevator Company, Inc.
Greg Goldsmith, an African-American, reported his employer to the EEOC claiming racial discrimination, after receiving racial slurs and threats at his workplace. His complaints of a racially hostile work environment were rebuffed by his employer. The employer approached Goldsmith with a dispute resolution while the claim was still pending at the EEOC, which he refused to sign. He was fired immediately for refusing. If you think that you have been wrongfully terminated, it’s easy to understand that you would like to check how much money you can expect to be given for your wrongful termination claim. If you reach settlement, the total amount you are given is always based on these factors: lost wages, reason of termination, emotional distress, the costs of finding a new job, medical expenses and benefits lost. Punitive damages might also be granted in rare situations, in the event the employer behaved egregiously. As you’ll see from the sample claims above, giving a typical settlement for wrongful termination claims in AL is actually tricky because each individual case is unique. The average wrongful termination settlement in Alabama is between $6,000 and $100,000. Lawyers can be beneficial when working out a better settlement. The average courtroom awards tend to be bigger, anywhere between $100,000 – $500,000. This is certainly one reason why employers prefer to settle outside of court. Several years of litigation, bearing the legal costs and maybe losing the lawsuit in the end is costly. Taking a claim to court is generally the last option in wrongful termination cases. There are other means of settling the differences between the employer and employee, including mediation and arbitration. Your lawyer will work with you to negotiate a settlement that you are comfortable with. If a settlement cannot be reached, the claim may be taken to court. There are several types of wrongful termination damages available to plaintiffs, the measure of which will be determined by the court and jury. Depending on the type of wrongful termination claim, some types of damages are not available and some are capped at a maximum amount. First, you’ll need to talk with a wrongful termination lawyer in Alabama to find out if you have a case worth pursuing. Act fast, as there are deadlines to filing claims in Alabama. Second, you’ll most likely need to file a timely claim with the Alabama EEOC. Navigating the ins and outs of the legal system is difficult, which is why you need an employment attorney experienced in wrongful termination cases. First time legal consultations are usually free, where the lawyer will review your case and offer an opinion on your claim. Most lawyers work on a contingency fee basis (30-40%), which means their fee will be a percentage of any settlement or award you get for your case. You will still be responsible for paying the official expenses associated with filing you case. Once you hire a lawyer, you will be advised on what documents you need to gather, the statute of limitations for filing your claim and how to commence with the case. Your goal is for you and your lawyer to negotiate the best possible settlement or severance package. 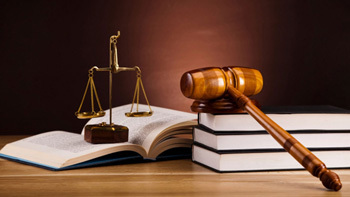 If a settlement cannot be reached, the lawyer will take your case to court. Here is an outline on how to file a wrongful termination claim.